We are a manufacturer of world-class design filing products for offices and personal uses. Our manufacturing facility can produce high quality lever arch file, ring binder, PP file, PP holder, PP bag and PP accessories. 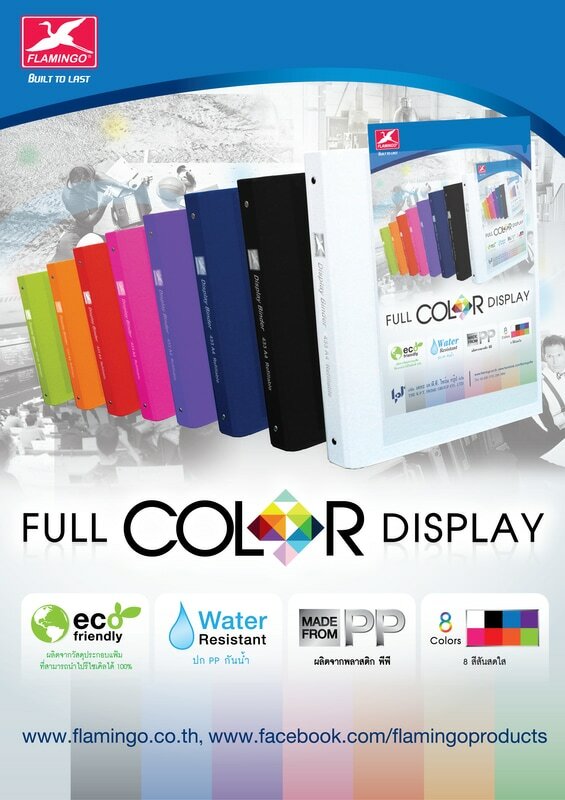 Flamingo full color display makes filing much easier with inside pockets and front cover pocket. There are 8 colors for this series. All PP cover is water and scratch resistant. 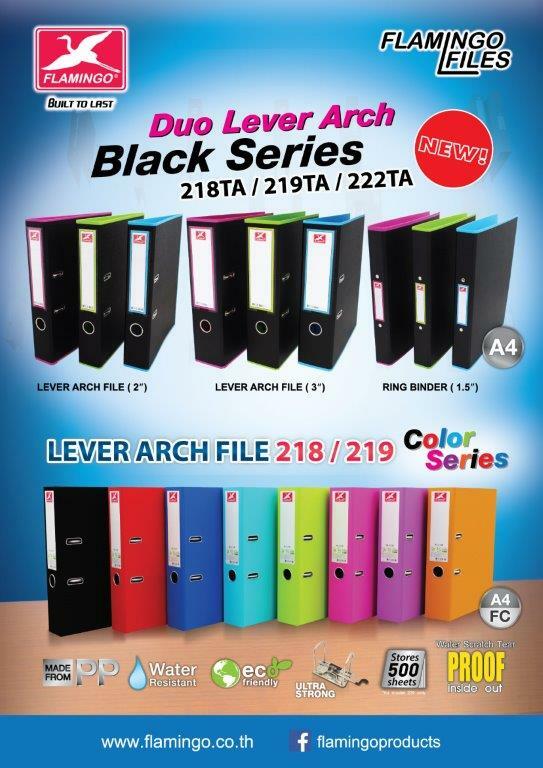 This Flamingo Duo Lever Arch binder features a subtle 2 tone design allowing you to stylishly color code your filing. It has strong and durable covers with reinforced edges to protect your documents. It also has a metal finger hole allowing you to easily retrieve your files from shelves and storage units.